An Obama adviser who ruffled feathers last year claiming the U.S. is “an Islamic country with and Islamically compliant constitution” is reportedly at it again. 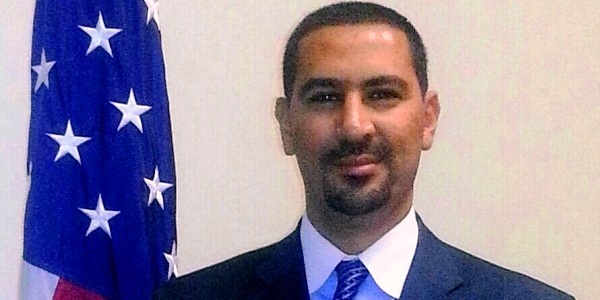 Mohamed Elibiary is a senior fellow of Obama’s Department of Homeland Security Advisory Council. The IPT report was also noticed by former Florida Republican Congressman Allen West, who wrote a blog piece in which he also opposed Elibiary’s assessment of America’s Islamic compliance. Indeed, in nations where Islamic Shariah law has been implemented, Christians, Jews and women in particular have suffered discrimination, violence and court-supported persecution – a legal system in clear contradiction not only of America’s religious freedoms, but also of several other constitutional rights. Elibiary, in fact, has a long record of reportedly working with those whose brand of Islam strays into the conquering, oppressive form of Islamism. According to Judicial Watch Elibiary admits he’s a longtime friend of self-described Islamist Shukri Abu Baker, convicted in 2008 of financing the terrorist organization Hamas through his U.S. Muslim Brotherhood entity, the Holy Land Foundation. Judicial Watch reports Elibiary donated to the Holy Land Foundation monthly until it was shut down by the U.S. government and defends Baker, depicting his prosecution as a case of political persecution. According to a Breitbart report, Elibiary was a speaker in 2004 at an event called “A Tribute to the Great Islamic Visionary,” which honored the ruthless, theocratic Iranian Ayatollah Khomeini, and in 2006, Elibiary penned an op-ed stating that everyone should read Sayyid Qutb, a man widely seen as the founder of radical Islamic groups like al-Qaida and the Muslim Brotherhood. Elibiary’s Twitter account, though he vehemently insists it reflects only his personal opinions and not any official government positions, has repeatedly been a source of comments that can be interpreted as sympathetic to the Islamist cause. 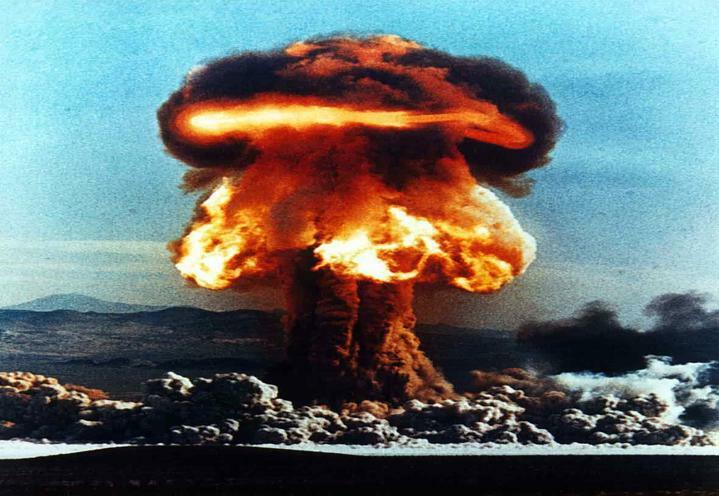 WASHINGTON – The well-organized army of the Islamic State of Iraq and Syria, or ISIS, claims it has access to nuclear weapons and a will to use them to “liberate” Palestine from Israel as part of its “Islamic Spring,” according to a WND source in the region. ISIS is also know as the Islamic State of Iraq and the Sham. “Sham,” or “Greater Syria,” refers to Cyprus, Palestine, Jordan, Iraq, Syria, Lebanon, Israel and southern Turkey. ISIS also is known as DAASH, the Arabic acronym for al-Dawlah al-Islamiyah fi al-Iraq wa-al Sham. The Sunni militant group, which has taken over much of the Sunni region of Iraq, could leave the Shia-dominated region of the country and head toward Jordan and Turkey. Lamb said that in Iraq alone, some 6 million Iraqi Sunnis recently have become supportive of the ISIS lightning strikes in the Sunni portion of the country. Some of the Sunni supporters are secular, such as the Naqshbandia Army of former top officials of executed Iraqi leader Saddam Hussein. As WND reported, the Sunni group may have given ISIS access to its ongoing sarin production facility in northwestern Iraq. WND also reported ISIS already has captured towns bordering Iraq and Turkey. The militant group also has steamrolled through the Iraqi desert in the west and taken over the major al-Walid crossing with Syria and the Turaibil crossing into Jordan. Lamb said ISIS has established a capital for its caliphate in the Syrian city of Raqqa. “The Islamist organization believes it currently has massive regional support for its rapidly expanding ‘revolution of the oppressed,’” Lamb said. ISIS estimates it will take 72 months to “liberate” “Occupied Palestine,” or Israel, according to Lamb. Lamb quoted an ISIS member as saying: “Zionists call us masked, sociopathic murderers, but we are much more complicated and representative of those seeking justice than they portray us. Lamb said ISIS can do what no other Arab, Muslim or Western backers of resistance have been able to accomplish. ISIS access to nuclear weapons could come from Sunni Pakistan, which is home to more than 30 terrorist groups. Pakistan possibly has transferred nuclear weapons to the chief bankroller of its nuclear development program, Sunni Saudi Arabia, as WND previously has reported. The Saudis, who also have provided billions of dollars to ISIS, have threatened to acquire nuclear weapons if Iran were to develop its own. The source said the West, and especially the Israelis, may already be aware of ISIS plans and tactics to take over “Palestine.” He said Western intelligence sources were in possession of an “encyclopedia of information” obtained by Iraqi intelligence less than 48 hours before Mosul fell two weeks ago. He said an ISIS messenger who was captured and “under Iraqi torture” turned over more than 160 computer flash sticks with the detailed information. “The U.S. intelligence community is still decrypting and analyzing the flash sticks,” Lamb said. He indicated that the information already has been handed over to members of Congress, some of whom are sharing it with the Israeli Embassy in Washington. “The current sense on Capitol Hill is reported to be that the Obama administration is not in the mood to share anything with Israel these days and certainly not with the Netanyahu regime which it loathes,” he said. With its initial success in Syria and now Iraq, there also is concern among the Gulf Arab countries of not only Kuwait but also Bahrain, Qatar, Oman, Yemen, Saudi Arabia and the United Arab Emirates that ISIS will take root in those locations. Al-Qaida is strong in the Arabian Peninsula, with AQAP based in Yemen. Any ISIS initiative in areas al-Qaida is located could pose problems for al-Baghdadi, who openly split with al-Qaida central leader al-Zawahiri. But given al-Baghdadi’s accomplishments, ISIS has become very attractive, with many jihadist groups as seen in Iraq joining his group. Sources believe there also is the prospect that ISIS spinoffs would develop and threaten countries in the Caucasus and Central Asia as well. King was with the 306 Military Police Battalion, a reserve unit from Long Island. The unit also included a number of members from the New York Police Department and the Fire Department of New York. The camp itself was named after FDNY Fire Marshal Ronald Bucca who was killed at the World Trade Center on Sept. 11, 2001. Already, security experts are taking seriously what King initially thought was a joke, until he realized what al-Baghdadi has done as the head of ISIS sweeping through Iraq. New York City Mayor Bill de Blasio, the Federal Bureau of Investigation and the NYPD already are taking al-Baghdadi’s threats seriously. With that said, however, it isn’t clear when al-Baghdadi would be a direct threat to the U.S. homeland. Former Acting Central Intelligence Agency Director Michael Morell said it may be at least a year before ISIS poses a serious threat to the U.S. However, he said the threat could be sooner if the U.S. offered direct assistance to Iraqi Prime Minister Nouri al-Maliki. For now, he said, al-Baghdadi is targeting the Iraqi government. All of this raises the question whether the United States needs to get involved militarily to stop ISIS’ efforts to take over all of Iraq. Given that ISIS’ actions beyond Iraq would threaten U.S. and Western strategic interests in the region if it goes beyond Iraq, it raises the question whether this forward motion needs to be stopped now, or later when it will be more difficult. WASHINGTON – The terrorists running amok in Iraq – members of the Islamic State of Iraq and the Sham – may have access to a secret sarin poison gas production facility in northeast Iraq as a result of a new alliance with a top military commander who previously was an aide to executed Sunni Iraqi leader Saddam Hussein, WND has learned. According to sources, Douri heads the Naqshbani Army, which is a coalition of Sunni groups in Mosul, a city which recently was overrun by ISIS. The sources added that representatives of Douri recently met with ISIS leader Abu Bakr al-Baghdadi. ISIS has swept through Iraq toward Baghdad, which is being defended by troops of the government of Shiite Prime Minister Nouri al-Maliki, in recent days. The coalition of terrorists has included Sunni jihadist groups, and now apparently members of the Naqshbandi Army after an alliance, sources said. The Naqshbandi Army is a resistance group of underground Baathists and Islamist militant insurgency groups in Iraq. It emerged in December 2006 following the execution of Hussein. Douri’s alliance gives ISIS’ Baghdadi access to a facility that produces sarin nerve gas under the direction of former Iraqi Military Industries Brig. 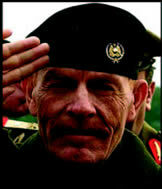 Gen. Adnan al-Dulaimi. Dulaimi was a major player in Saddam’s chemical weapons production projects. He has been working in the Sunni-controlled region of northwestern Iraq where the outlawed Baath party is located and produces the sarin. A WND request to the State Department for a response to the revelation that ISIS may already have access to a working sarin poison gas production facility as a result of the Douri alliance with ISIS went unanswered. Similarly, the State Department did not respond to a WND inquiry as to why old chemical weapons stockpiles at the Al-Muthana chemical complex were never destroyed before U.S. troops left Iraq in December 2011. 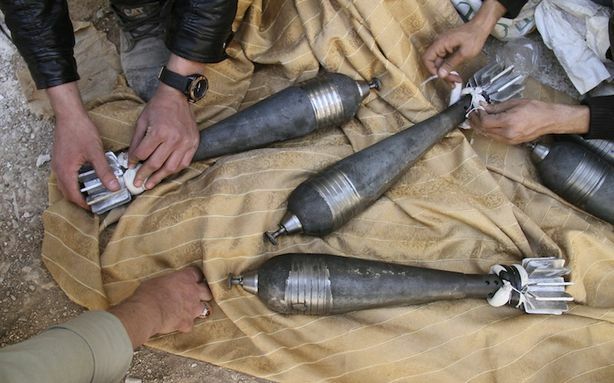 The Iraqi production of poison sarin nerve gas recently was confirmed in a classified document from the U.S. intelligence community’s National Ground Intelligence Center, or NGIC. The document revealed that “AQI” had produced a “bench-scale” form of sarin in Iraq and had transferred it to Turkey. AQI, or al-Qaida in Iraq, was the precursor to the al-Qaida splinter group ISIS, which Baghdadi created after he moved his fighters last year into Syria on the side of the Syrian opposition. However, Baghdadi and his ISIS jihadist fighters quickly fell out of favor with al-Qaida leader Ayman al-Zawahiri after Baghdadi sought to include another al-Qaida group, the Jabhat al-Nusra, in ISIS. The al-Nusra leadership opposed the merger and fighting ensued between ISIS and al-Nusra, leading Zawahiri to publicly disown ISIS as part of the al-Qaida organization. In May 2013, some of the sarin transferred to Turkey for al-Nusra’s use was intercepted and fighters in Turkey were arrested. According to published reports, the sarin coming from Iraq but transported to Turkey allegedly was used in an attack on the Syrian city of Aleppo in March 2013 by Saudi Arabian-backed al-Nusra in its effort to overthrow the government of the Shiite-Alawite Syrian president, Bashar al-Assad. The document further revealed that sarin production had been under way for more than a year. 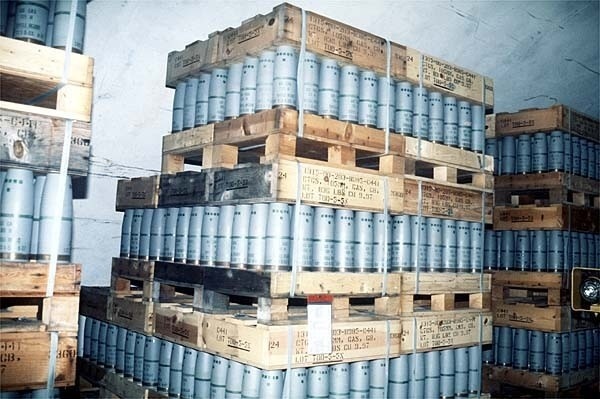 In acknowledging to the Wall Street Journal that ISIS had taken over the Al-Muthanna chemical weapons, the State Department quickly attempted to minimize the seizure by saying that ISIS wouldn’t be able to make use of the materials because it was too old, contaminated and difficult to move. “We do not believe the complex contains CW (chemical weapons) materials of military value and it would be difficult, if not impossible, to safely move the materials,” State Department spokeswoman Jen Psaki told the WSJ. Most of these munitions were later destroyed under supervision of the United Nations. Some of the partially destroyed materials were sealed in two bunkers at Al-Muthanna. U.S. military officials say they never would have left chemical material after the 2011 pullout if it posed a security threat. “The only people who would likely be harmed by these chemical materials would be the people who tried to use or move them,” a military spokesman said. However, ISIS’ access to a sarin poison gas production facility operated by former members of Saddam Hussein’s military may be another story. Sarin actually was used in terror attacks in Japan in 1994 and 1995. As an Army Veteran who was working as a contractor attached to the 25th Infantry Division (same Division as Bergdahl) in a nearby FOB when Bowe Bergdahl went missing, I feel the need to speak out on the situation (notice I don’t ascribe rank to him, I will address that later). A few days ago, Secretary of Defense Chuck Hagel took the stage at Bagram Air Field in Afghanistan and excitedly started with what he thought would be a big applause line. “We got him back!” he exclaimed. Numerous White House leaks show that Obama and his team were convinced that Americans would greet the news of a returning POW with elation; that this would be the great moment in Obama’s second term. This shows just how clueless they are about the military. Let me clue them in. You see, when Hagel took the stage, he expected joy at the announcement that one of their own was returned! However, you have to see inside a soldier’s mind to understand what was going on here. I believe I can provide a little insight. When a soldier deserts his post, when he writes that he is ashamed to be an American, when he gives the enemy secrets (and he did), he is no longer “one of us”. He is a traitor. He is not a brother-in-arms. Soldiers risk their lives for each other every day on the battlefield, there is a trust and respect they have for each other. For Bowe Bergdahl to break that trust and the Secretary of Defense to announce a hero’s welcome instead of a court-martial is a huge let-down. He isn’t one of their own. He is one of them. He is the enemy. That’s not something to celebrate. The message the White House is sending is that they value treason more than honorable service. Read that last sentence again. Let it sink in. THIS is what every soldier is thinking. In a soldier’s mind serving with honor means finishing your tour, even if you disagree with the way things are done. All bets are off if you serve with dishonor. I do not refer to Bergdahl as a sergeant, even though he received “automatic” promotions while in the Taliban’s custody because according to law, after 30 days his rank and pay should have been stripped from him. Due to political pressure, his was not. In fact, he probably has over $200,000 in cash waiting in his bank account. In my opinion, this money should be given to the families of the soldiers who died in the aftermath of his desertion. Bowe Bergdahl deserted his post. He served with dishonor. I know that firsthand. Our soldiers know that. They know they risk their lives every day. They don’t get a hero’s welcome from the White House, they get fewer meals (due to budget constraints) and less safety equipment (due to the drawdown). Let me be perfectly clear. A Rose Garden Ceremony, a “hero’s welcome”, and automatic promotions to a person that deserted is nothing more than a slap in the face to every service member who has served honorably. That, Mr. President and Mr. Hagel, is why soldiers aren’t clapping and applauding for you. That is why you have lost any remaining respect from the military community. NEW AGE ISLAM TV presents Canadian writer and advocate of a progressive and liberal Muslim identity Tarek Fatah. He is a frequent contributor to Canadian newspapers. His articles can also be read on www.NewAgeIslam.com. He delivered his lecture in a seminar organised by India Foundation in New Delhi on Global Terrorism and Islam, State and Non-State Actors. BEIRUT, Lebanon — The jihadist group Islamic State of Iraq and the Levant has emerged as the chief rival to al-Qaida central led by Ayman al-Zawahiri, the successor to Osama bin Laden, according to Joseph Farah’s G2 Bulletin. ISIL is also known as the Islamic State of Iraq and Syria (or Sham), or ISIS. The open rivalry between ISIL and al-Qaida pits jihadists against jihadists in Syria and Iraq, possibly spreading to other Middle East countries, as recently seen in Saudi Arabia itself. The ISIL challenge also casts doubt in the minds of other jihadists on the effectiveness of Zawahiri’s leadership. ISIL has threatened to take its war with al-Qaida’s designated group in Syria, Jabhat al-Nusra, to Kuwait and Saudi Arabia. The development comes after infighting between ISIL and al-Nusra in Syria flared into the open following a June 2013 statement by Zawahiri that ISIL had no affiliation with al-Nusra. ISIL had sought to incorporate al-Nusra as part of its group, but even Zawahiri found ISIL to be too brutal in its tactics, killing members of rival Islamist jihadi groups as well as indiscriminately killing other Muslims. Now, ISIL is threatening to go into Saudi Arabia and Kuwait and assassinate clerics who back al-Nusra. The fighting between the two has intensified despite a recent order by Zawahiri to stop the bloodshed. Thousands of Islamic militants on both sides of the dispute in Syria have been killed. 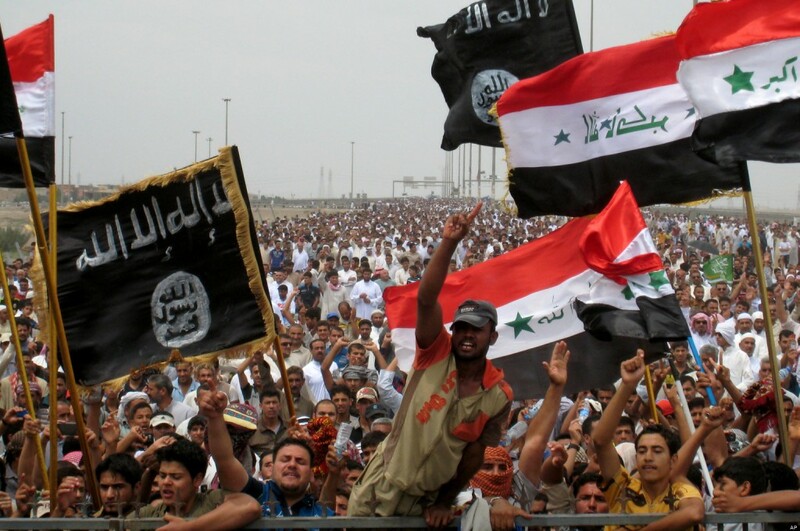 In a recently released video, a group of arrested ISIL militants confessed to having direct links with Saudi Arabian authorities and claimed they had a role in a number of recent terrorist attacks in Iraqi provinces and in the cities of Karbala and Najaf. This has prompted the Iranian-backed Iraqi Shiite prime minister, Nouri al-Maliki, to declare war on ISIL and the other al-Qaida groups – all Sunni – due to the wave of new violence there. The ISIL at one time had been a branch of al-Qaida in Iraq, under the name of the Islamic State of Iraq, led then by Abu Musab al-Zarqawi, who later was killed by the U.S.
Before his death, however, even Zarqawi didn’t believe that al-Qaida was violent enough and often ignored orders from bin Laden. That led some observers to believe that the U.S. was tipped off on Zarqawi’s whereabouts, which led to his house being bombed in June 2006 by a U.S. F-16.